Marburg virus is considered to be a re-emerging pathogen that poses a significant threat to human health. This naturally occurring virus can cause a fulminating hemorrhagic disease with a severe shock syndrome and high mortality in both humans and nonhuman primates – also known as Marburg hemorrhagic fever. Marburg virus is one of two viruses belonging to the Filovirus family. 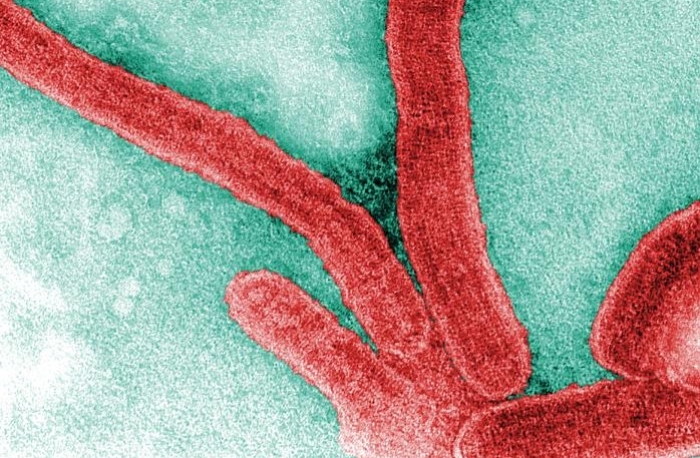 Along with Ebola virus, Marburg virus causes a severe and highly fatal haemorrhagic fever called Marburg virus disease which is clinically almost indistinguishable from Ebola virus disease. Marburg virus outbreaks that occur sporadically in Africa are characterized by high mortality and a high incidence of nosocomial transmission. The disease it causes is considered a zoonosis that persists in healthy reservoir host (fruit bats) in the endemic areas of Africa, whereas humans and nonhuman primates enter the cycle as spillover hosts with a high rate of fatal outcomes. After an initial 1967 outbreak in Europe, the virus was not in the focus for eight years when a young Australian travelling throughout Zimbabwe developed similar symptomatology. The largest Marburg hemorrhagic fever outbreak to date occurred in northeastern Angola in the spring of 2005, with over 90 cases and 90% mortality rate.